Notes: This is the last episode to star Vivian Vance, and is also one of the episodes that Lucille Ball was not happy to make. Joan Crawford was often drunk on the set during taping which lead to frequent arguments between the stars. Notes: Sid is no longer the superstar he once was. His talent is still intact, but it is dulled by the alcoholism that Sid will overcome in the 1970s. Notes: This is the last episode of the series. It is too bad no one thinks to bring back Vivian or Lucy's stage kids for a final farewell. 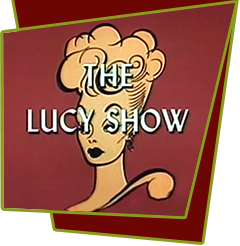 The show must end because it is owned by Desilu, and Desilu is no longer owned by Lucille Ball.